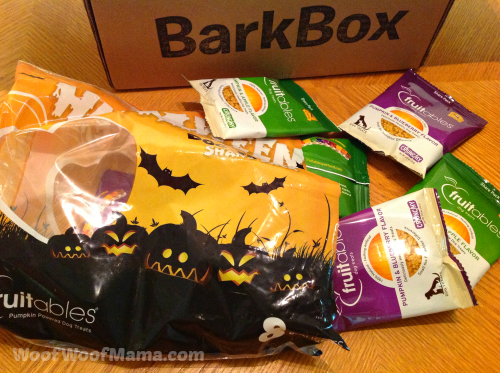 BarkBox Monthly Mystery Box for Dogs: Last Chance to Get 1 Month FREE ($19 OFF)! If you’ve been thinking about trying a mystery box subscription for your dog, don’t miss out on this great deal on BarkBox…it’s ending Saturday, August 31st! 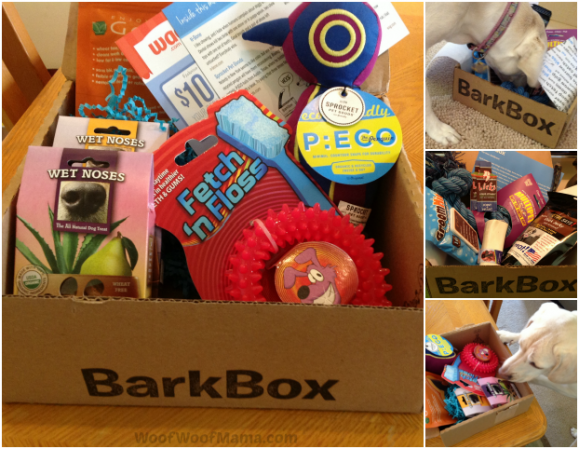 Just use BarkBox Promo Code FREEWOOF when you order a 6-month plan, and you’ll get $19 OFF (1 month FREE) the cost. 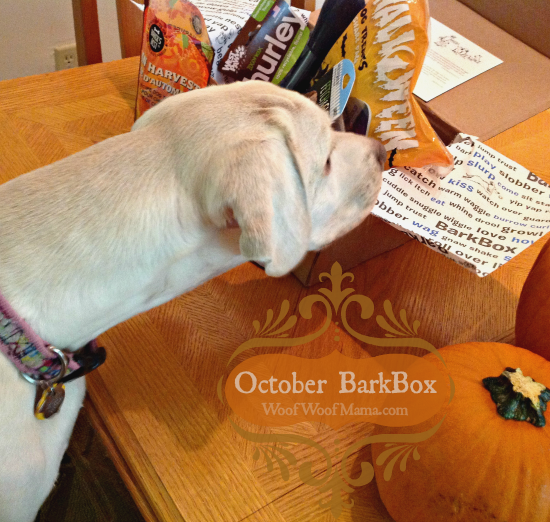 Daisy is a huge fan and we can’t wait to see what new surprises are in our BarkBox each month! The 6-month plan is already discounted to 34% OFF the regular monthly rate of $29, but when you apply the coupon code your subscription drops from $19/month to only $15.83 per month! 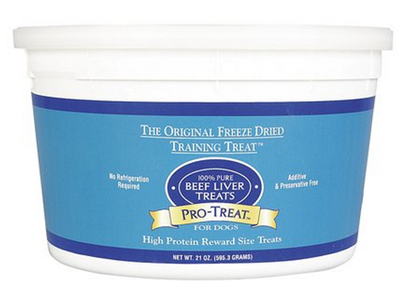 Free Shipping is included, and you can customize the box for your dog’s size. Each month you’ll receive a super fun box filled with four or more carefully selected products and presents for your dog – anything from toys and all-natural treats to grooming products and innovative new gadgets! Visit BarkBox.com to learn more and get started. Just don’t forget to use BarkBox Promo Code FREEWOOF by 8/31 to get the 1 month free (a $19 savings). 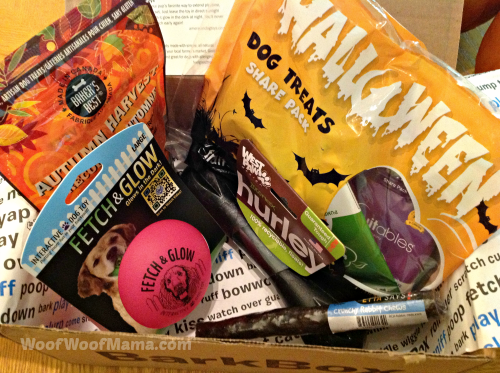 Want to learn more about mystery box deals for dogs? Be sure to check out our Mystery Boxes tab on our top menu bar for more deals, reviews and promo codes! 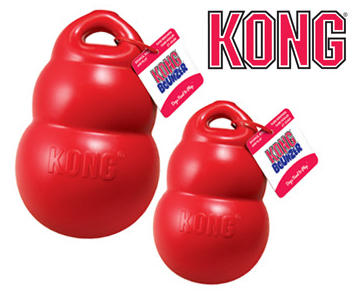 $5 Free Instant Credit = $5 Shipped for a KONG Bounzer Dog Toy ($17 reg)! 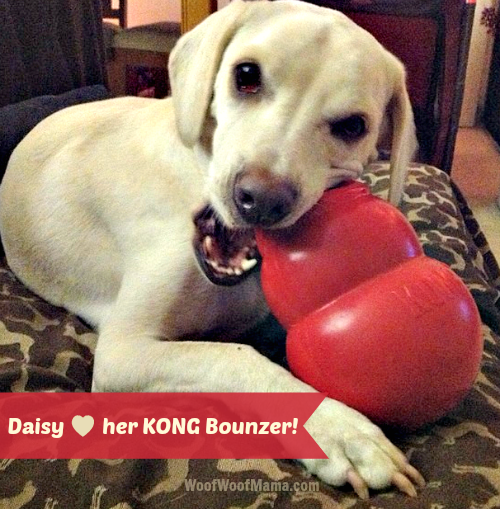 I just spotted a fantastic deal on one of Daisy’s favorite toys, the KONG Bounzer! It on sale for $10 ($17 reg) with Free Shipping included. And it gets even better because if you haven’t already done so, you can join doggyloot here and snag an instant $5 FREE credit to spend on your first order (no min. purchase required). That makes your total cost just $5 including shipping for this super fun, bouncy and durable dog toy from KONG! Visit doggyloot.com for this and more great pet deals. 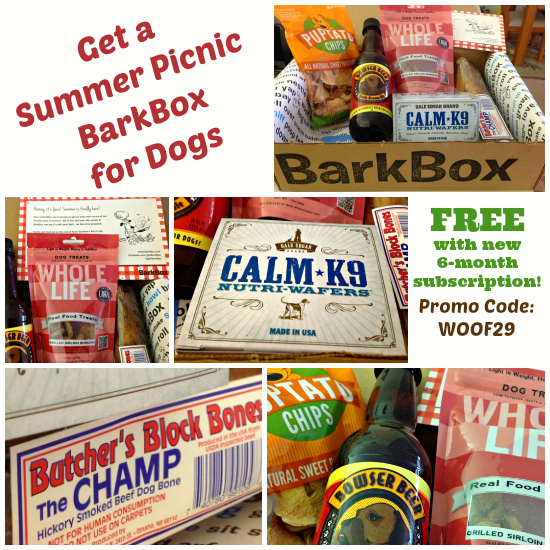 Get a FREE Summer Picnic BarkBox for Your Dog! We know that many of you were disappointed that you missed the Summer Picnic BarkBox last month, especially after we showed you what was in it! Daisy was super excited about the Bowser Beer, Sweet Potato Chips and Sirloin Burger treats as well as the Calm K9 Wafers and ginormous Butcher’s Block Bone!!! 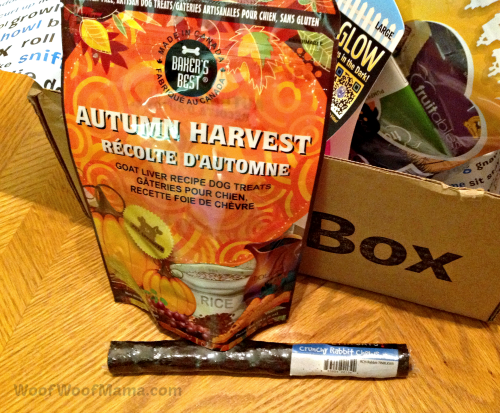 It is a GREAT summer-themed box of goodies and we really don’t want you to miss out! SO, we’ve got some fantastic news! We’ve arranged an exclusive special offer available ONLY to our readers, fans and pals! 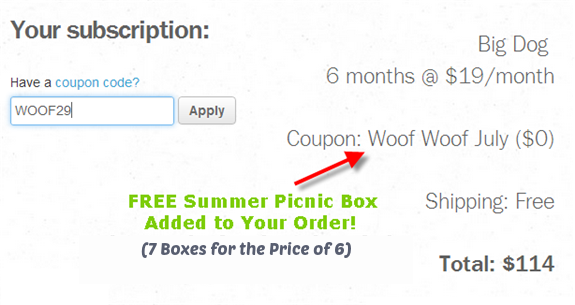 Order a new 6-month BarkBox mystery box subscription for your dog and you’ll get the Summer Picnic Box for FREE! That’s 7 boxes for the price of 6 and a works out to just $16.28/box…a BIG savings off the monthly box price of $29/month. Just use BarkBox Promo Code WOOF29 when you order for your small, medium or large dog and the extra-special limited-edition summer box will be automatically added to your order! Visit BarkBox here to learn more and get started! This offer is supposed to expire 7/31 but if you are interested, DON’T wait…they may run out of these special summer boxes before the end of the month!